Italy is known the world over for its premium craftsmanship and high-quality goods. That’s why Melgrati builds and sources every component of our Contemporary Interiors in this deluxe market. 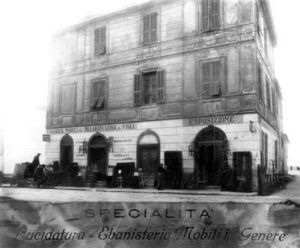 In fact, our roots in the country go back over one hundred years, when the company was first founded in Brianza, Italy in 1892. During all that time, we’ve remained true to this heritage by continuing to rely on traditional artisans who use tried-but-true methods to offer exceptional quality. We utilize only the most premium materials from the Italian luxury market to ensure a level of style and integrity that’s unmatched. At the same time, Melgrati has continued to endure through our ability to adopt new and innovative technologies that enhance the efficiency and quality of each individual project. Our commitment to personalization is such that we can even adopt designs that are not in current production in order to meet your unique needs. We every element of every project very seriously, which is why we keep ties with the high-end Italian market. So if you’re looking for high-quality Italian Contemporary Interiors and equally high-quality services to go with it, turn to Melgrati, an industry leader that’s always raising the bar in interior design services. For more information, call us at 1-786- 219-7517.